Driven Stronger: Angry Aaron Rodgers to rebound? Published: Dec. 17, 2014 at 03:18 p.m. Updated: Dec. 17, 2014 at 03:28 p.m.
We've reached the fantasy football championships, and there are a number of big-name players ready to rebound for fantasy squads when they're needed most. Whether the players below are hoping to bounce-back, face a great matchup or want to silence critics, each should have a little extra something to propel them to the tops of the fantasy ranks. 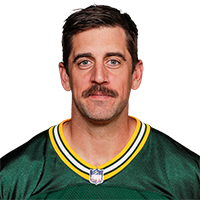 Rodgers was held without a touchdown (passing or rushing) on Sunday for just the fifth time in his career in games where he played from start to finish. In the four games following those performances, Rodgers has thrown a combined 12 touchdowns and one interception. 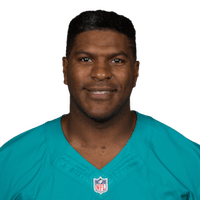 He'll face the struggling Buccaneers secondary this week, so if you survived his dud of a performance last week, expect big things in Week 16. 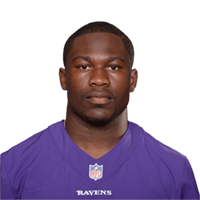 Forsett's 4.70 fantasy point output last week was the first time he failed to score at least 9.5 fantasy points since Week 3! Next on the schedule for Forsett is a matchup against the Texans, who are in the middle of the pack when it comes to defending the run. You can trust Forsett to perform in championship matchups. McCoy actually ran pretty well on Sunday night, but was stonewalled when it came to getting into the end zone. Part of that was his own fault, but more blame falls on the shoulders of Chip Kelly, who opted to have different running backs get goal line looks three separate times! The Redskins have a great run defense, but I like McCoy's chances to do some damage in the passing game. And hopefully get into the end zone again. 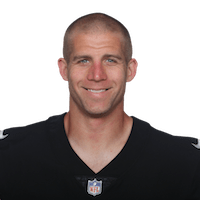 I'm stacking my Rodgers pick with Nelson here, because Jordy had a very un-Jordy-like play last week when he dropped what could have been a 94-yard touchdown reception. Rodgers threw one of his interceptions while Nelson was wide open on the other side of the field, too, which is a rarity. Both players will be extra angry and motivated to get back in gear against the lowly Tampa Bay secondary. Megatron was largely held in check by the Vikings stingy defense last week, but up next he gets to take on a Bears secondary that has been continuously exposed by any and all opponents. 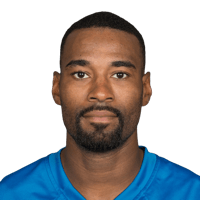 Look for Megatron to respond in a big way, as the last time he played the Bears this season he had 146 receiving yards and two touchdowns. 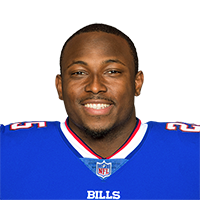 Thomas has been working his way back from an ankle injury, and had just one catch for 30 yards last week (on two targets). With another week of recovery under his belt (and a late Monday night game), I like his chances to get back to his touchdown-scoring ways against the Bengals this weekend. Zuerlein didn't exactly have many scoring opportunities last week in the Rams' defensive battle against the Cardinals. That should change this week when the Rams take on the Giants and their porous defense. 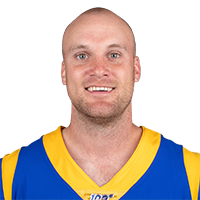 Look for Zuerlein to post a nice stat line for your championship squads. The Eagles only managed one fantasy point last week as they were overpowered by the Dallas offense. That shouldn't be the case this weekend when they travel to Washington and take on an offense in utter turmoil. Washington's special teams isn't top-notch either, so fantasy owners can start the Eagles D/ST with confidence this weekend. -- Alex Gelhar is a fantasy and features writer at NFL.com. Follow him on Twitter @AlexGelhar.